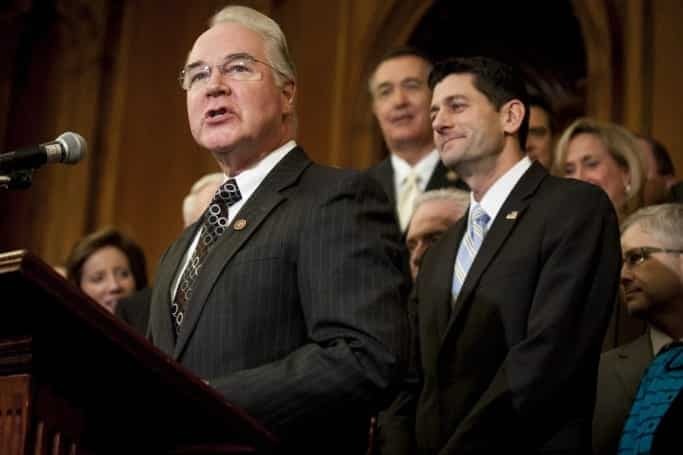 On Monday the Senate voted 52 to 47 to confirm Rep. Tom Price (R-Ga.) to lead the Health and Human Services Department. The party-line vote was the fourth contested Cabinet vote in a row. Democrats argued before the vote that Price, a seven-term congressman and former orthopedic surgeon, had failed to come clean about some suspicious-looking stock transactions and has a history of pushing to revamp Medicare and Medicaid. Republicans argued that he is very knowledgeable about health care policy. Both sides expect him to take a leading role in dismantling the Affordable Care Act and, presumably, replacing it with a new health care system. This entry was posted on February 10th 2017 at 8:52am/08:52 and is filed under Elections, Live News Column 1, Politics. You can follow any responses to this entry through the RSS 2.0 feed.